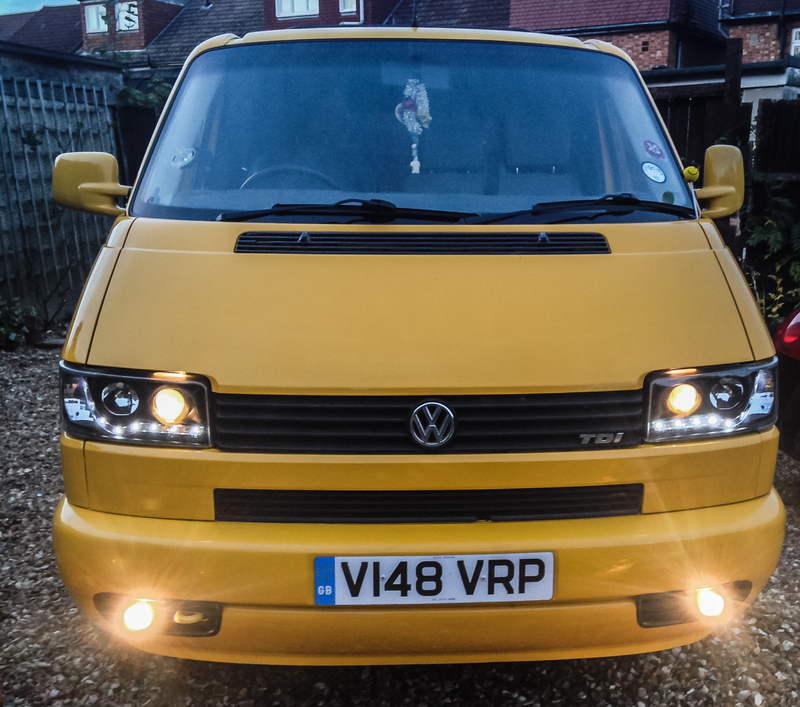 The headlights are not standard, they’re an aftermarket affair and as such, pretty poor at doing what they are supposed to do, with that in mind i’ve added some front fog lights, they light up the road real good ! I bought these ones from ebay. There is quite a bit of debate about these lights being rubbish and filling up with water but so far they have been fine for me. When you install fog lights you also need to buy a slightly different headlight switch as the standard switch only caters for turning on the rear fog light as at this point, front ones don’t exist! 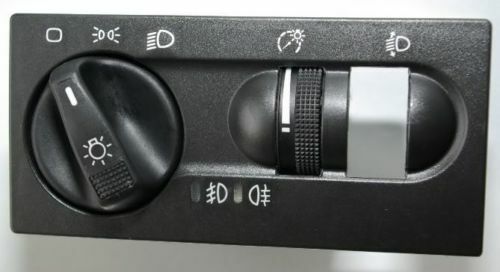 Make sure you get the right one, it should have 2 fog light illustrations. You could keep the original head light switch and install a secondary switch somewhere for your new fog lights but I wasn’t up for that, the only downside with buying a switch like the one above is that it illuminates green as opposed to red like everything else in the van, not easy to change the colour either. Lastly you need to buy a wiring loom as the lights don’t come with one, i bought this one from Germany, comes with full fitting instructions and is easy to fit. The most difficult part of the installation is cutting your front bumper to fit the fog lights, I used a combination of electric drill and dremel, the whole process took about an hour.